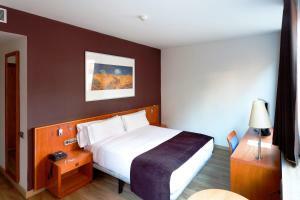 Conveniently located less than 10 minutes’ walk from Hospital Clinic Metro Station, Hotel Viladomat by Silken is located in Barcelona. 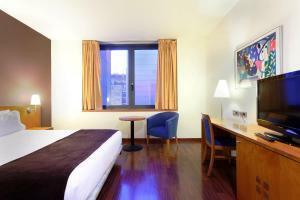 This property features free WiFi and an on-site bar. 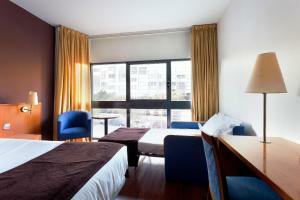 Each room at this property is air conditioned and has satellite TV, safe, desk, and minibar. 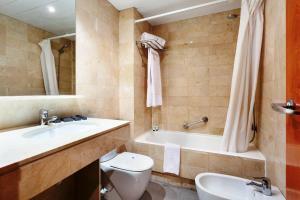 The private bathroom includes a bath, shower, hairdryer, and free toiletries. 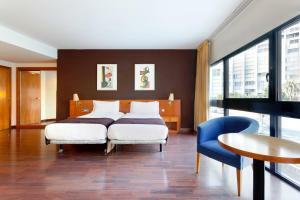 Hotel Viladomat by Silken has a 24-hour front desk and offers a ticket service. 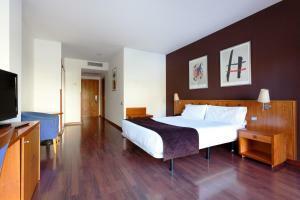 A shuttle to the airport is available for an extra charge, and there is luggage storage on site. 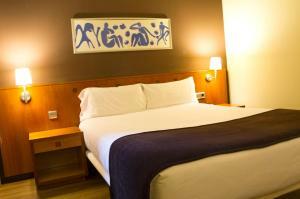 Plaza Catalunya and Barcelona’s famous Las Ramblas are 20 minutes away by foot. 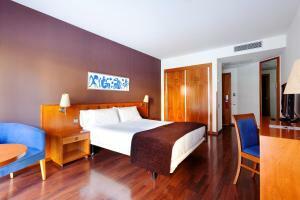 The friendly staff are happy to provide information on the city and its main points of interest. 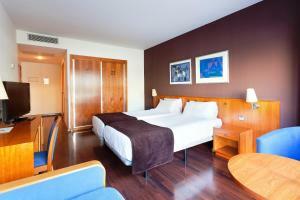 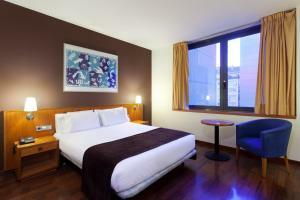 Sants Station is 1 km away from Hotel Viladomat by Silken, with direct links to Barcelona Airport. 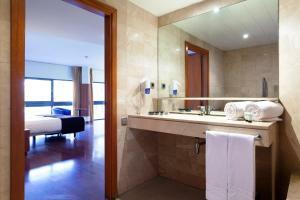 This air-conditioned room features a satellite TV, a minibar and a private bathroom with a hairdryer. 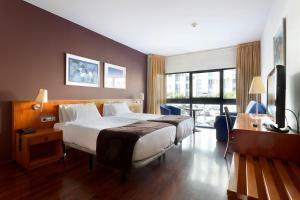 Rate: € 59.00 ... € 268.43; select dates below to get current rates. 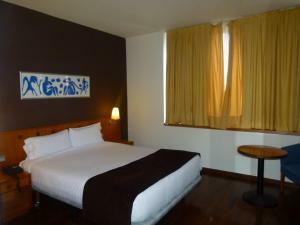 This simple room is air conditioned and has satellite TV, safe, desk, and minibar. 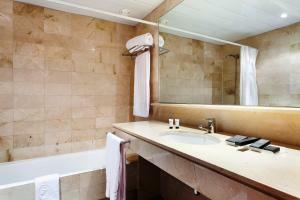 The private bathroom includes a bath, shower, hairdryer, and free toiletries. 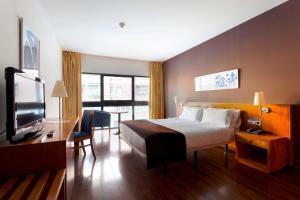 Rate: € 45.00 ... € 318.25; select dates below to get current rates. 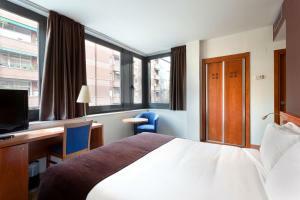 This larger room has satellite TV, safe, desk, and minibar. 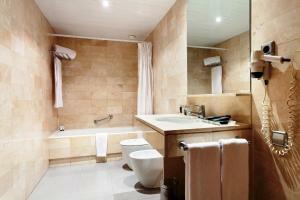 The private bathroom includes a bathrobe, bath, shower, hairdryer, and free toiletries.